The AGV AX-8 EVO Helmet has taken one of the most high-end and lightweight dualsport helmets on the market (AX-8 DS) and has made some significant upgrades. 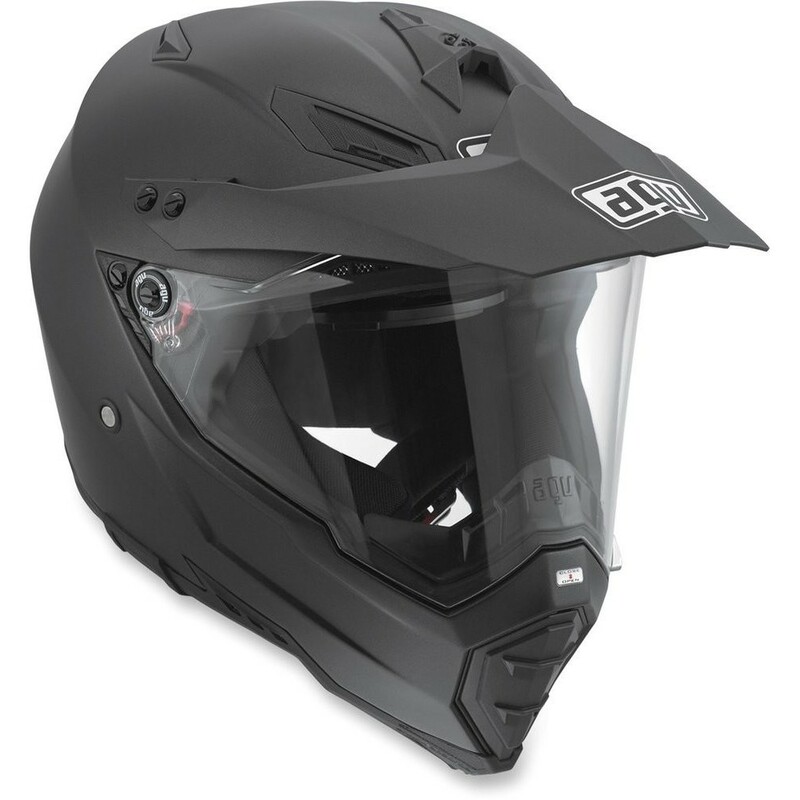 Additional technical features like the visor and visor mechanism, a chin air vent that can be opened, and an open-able supplementary ventilation on the top of the AGV AX-8 EVO guarantee all the performance and comfort of a road model. The AX-8 EVO features internal padding with increased thickness for improved comfort and greater stability. The shape for the outer shell in the chin area combined with a wider and softer base edge compared to the previous model reduces interference with any back protector used and decreases risks of impact traumas, thanks to its shock-absorber function.